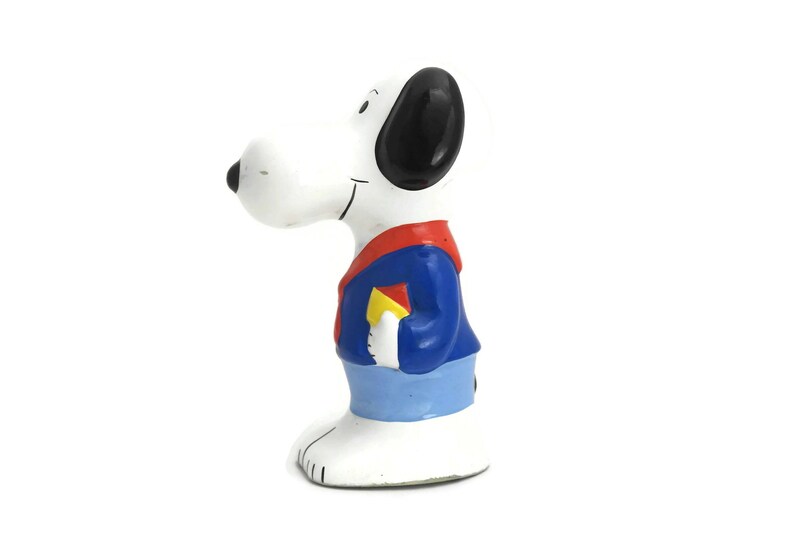 A cute vintage Snoopy figure money box dating to the 1980's. 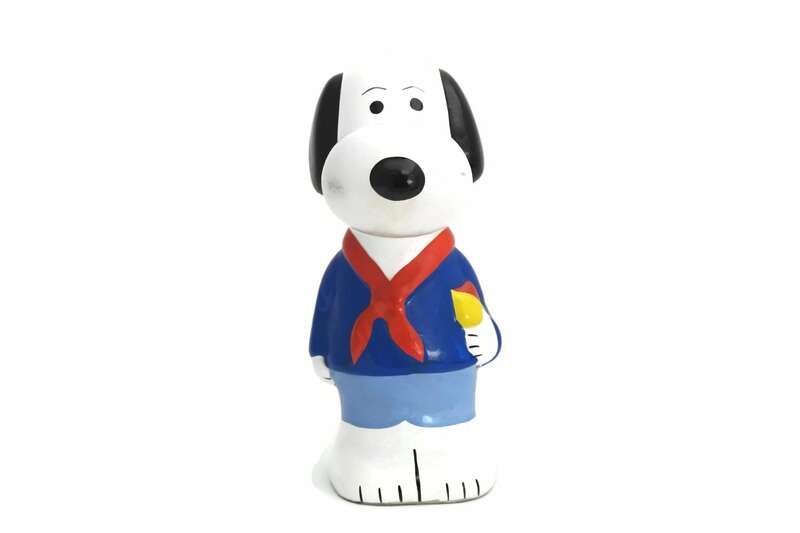 It features the famous Charlie Brown's pet beagle, in the comic strip Peanuts by Charles M. Schulz, dressed as a scout. 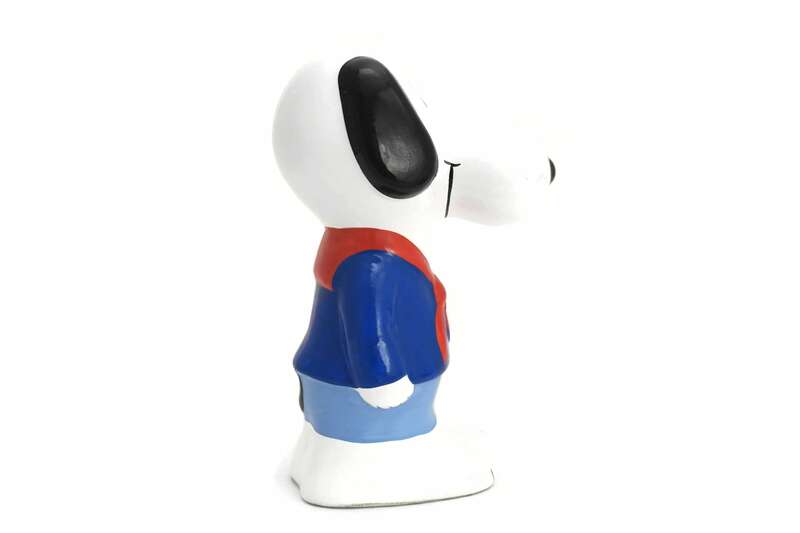 The ceramic piggy bank has been created from ceramic and hand painted with charming details. 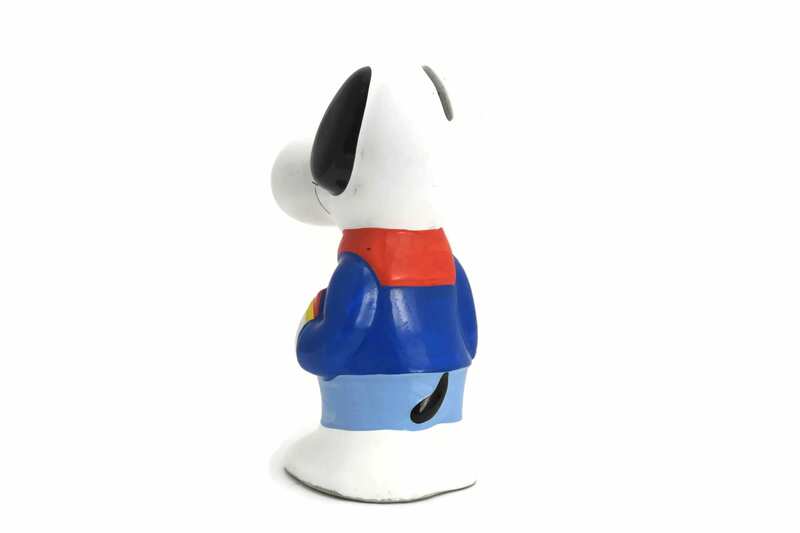 It has a slot at the back of its head and a white plastic stopper on the base. 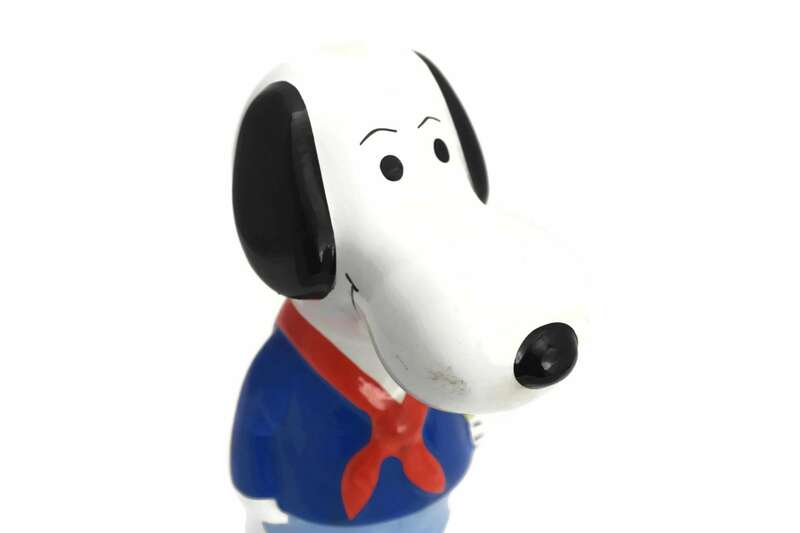 There is no visible manufacturer's mark. 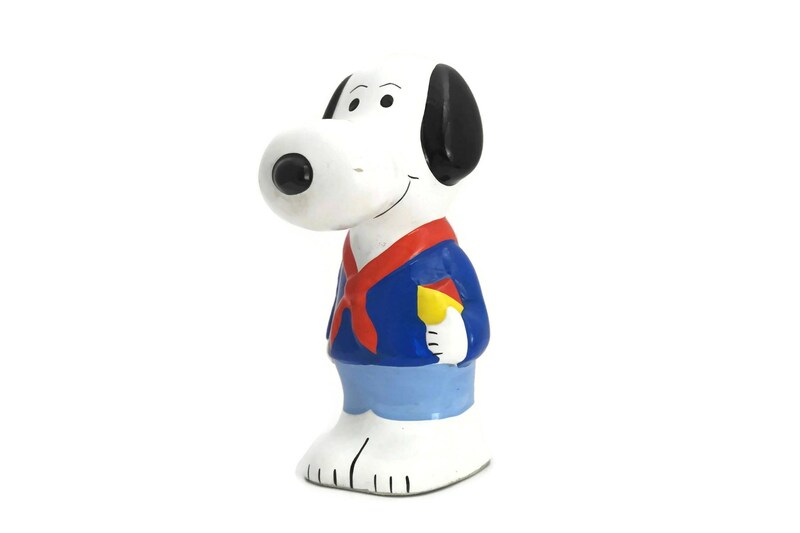 It will make a lovely addition to your kids room decor or a great gift for a scout. 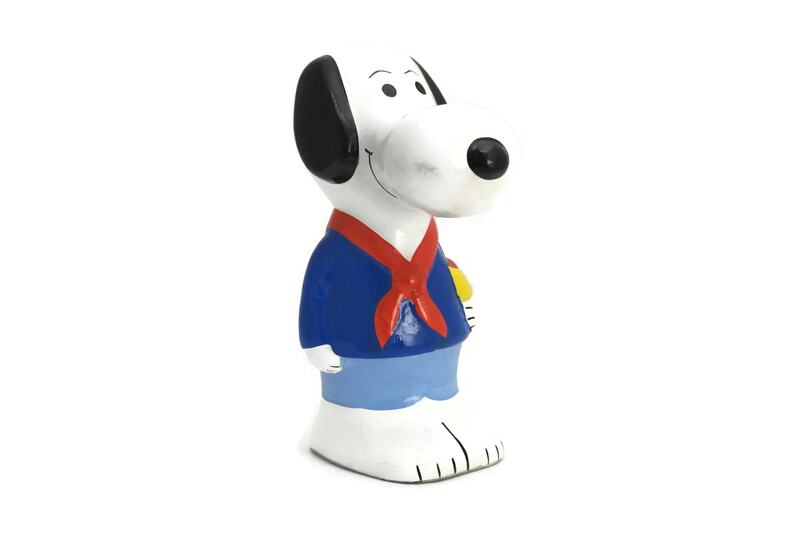 The Snoopy savings box is 8" Tall, 3" Wide and 4 1/2" Wide (20 cm x 7,5 cm x 12 cm). 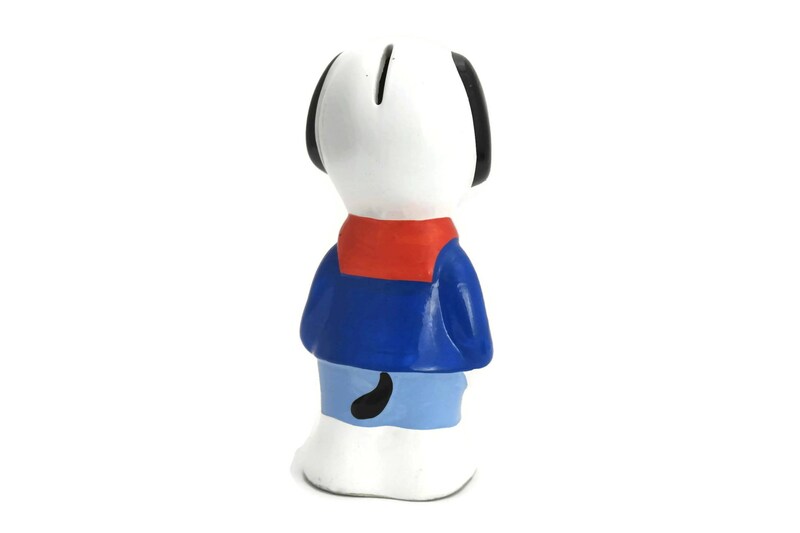 The Snoopy figurine is in very good condition with no cracks or chips. 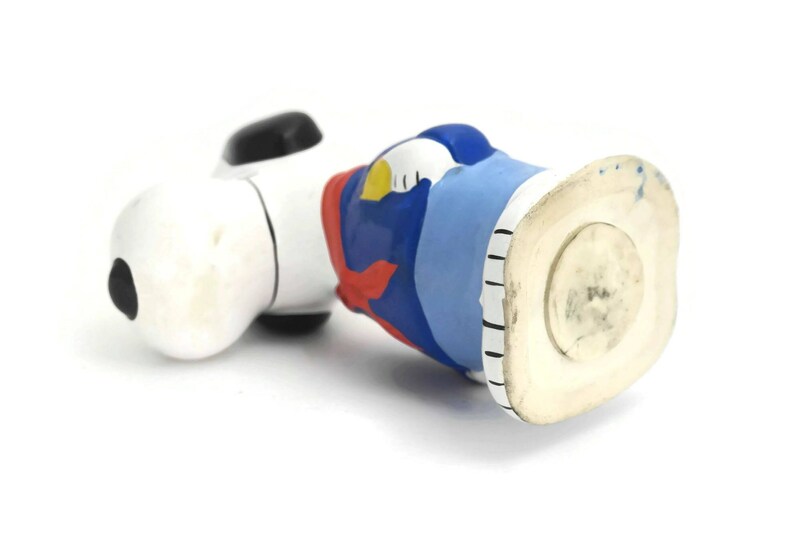 There is a light yellow mark of old glue on top of the head of the figurine.